over 15 years and counting. and keeps your chimney cleaner for longer. for your wood burner and fire pit! 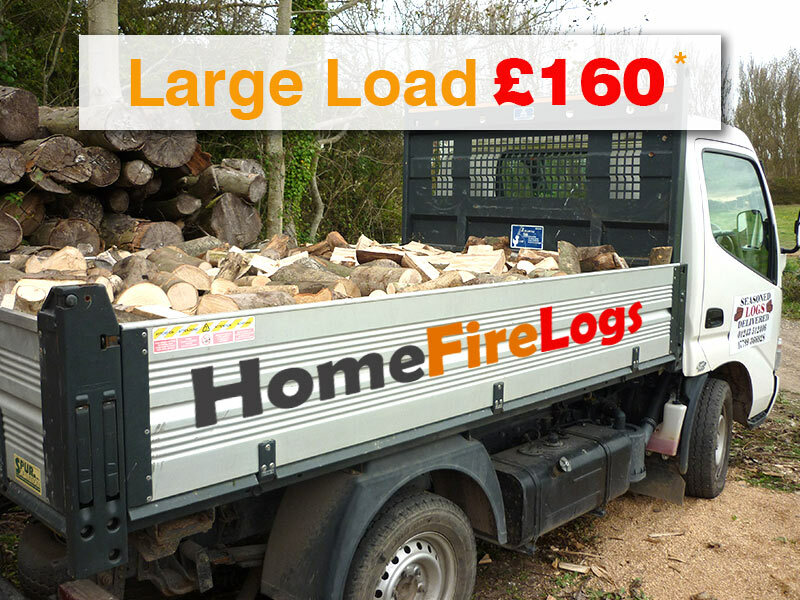 Home Fire Logs (Chichester logs and firewood) is a local family run business, supplying only quality, well seasoned hardwood logs to the Chichester and Manhood areas. Our firewood and logs service are second to none with the majority of our orders coming from repeat orders and recomendations. We air dry all our logs in long lengths (cordwood) for at least a year then cut and split them to order. We recommend you plan ahead and order your logs as long as possible before you need them, they will season again after splitting and will continue improving. The best way to store your logs is some were there is a good air flow but protected from the rain, even if you store them outside we recommend you cover the top with a peace of plastic but keep the sides open to allow air flow, this way your logs will carry on improving. Remember dry wood can be split to make good kindling. Bracklesham Bay, Bosham, Chichester, Donnington, Eastergate, East Ashling, East Wittering, Earnly, Fishbourne, Goodwood, Halnaker, Hunston, Itchenor, Lavant, Mundham, Nutbourne, Oving, Pagham, Runcton, Selsey, Sidlesham, Southbourne, Tangmere, Westhampnett, and West Wittering. Not sure if you are within the free delivery areas? Then just drop us an email and we will let you know. Please note that the ‘Standard Load of Logs’ is only delivered free to the Manhood peninsular area. 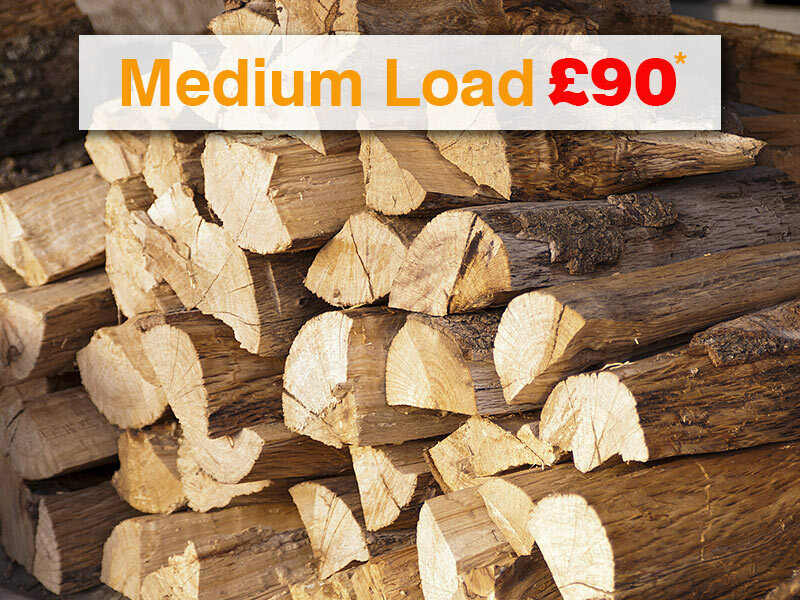 You wont find higher quality logs or firewood in Chichester and surrounding areas. Our business is growing year on year for over 15 years based on the quality of the wood and the service we supply. Well seasoned Ash, Beech, Oak, and Birch hardwood logs cut to 9 inches. Quality seasoned hardwood logs delivered to the Manhood and surrounding Chichester area. The best quality logs for sale in Chichester. If you have a wood burner or aga are 9″ well seasoned logs are your best choice for firewood in the Chichester area. All our firewood is locally sourced from the Chichester area and then seasoned on our farm for a least a year before being sold. ORDER YOUR FIREWOOD & LOGS NOW! We will send you an email with the next available date to deliver your logs. Payment is to be made at time of delivery. Thank you. If you have a gravel drive I would recommend you have a tarpaulin or plastic sheet for me to tip the logs on, it makes it a lot easier to clean up and those small chips are very useful as kindling! I am sorry, but we do not stack your logs for you. We provide a delivery service in the Chichester area of very high quality logs for your fire, wood burner, chiminera or fire pit. Please note payment is at time of delivery, cash or cheque. If it it more convenient for you to pay by BACS in advance, please ask at time of order and we will email you are BACS details. Cheques are payable to Home Fire Logs. Thank you. Our logs are suitable for your fireplace, wood burner, fire pit and chiminea. High quality hardwood logs from Chichester that are well seasoned to reduce spitting and burn for longer. Chichester’s number 1 firewood & logs supplier!